FG wants permanent end to Herdsmen, farmers clash - The Liberty Times™ Nigeria | @TLTNEWS247 Where the world listens to the Nigerian voice! The Federal government has reiterated its position that the clashes between herdsmen and farmers are not instigated by religious sentiments, noting that the international community has a very wrong idea about the true position of things in Nigeria. The Minister of Information and Culture, Alhaji Lai Mohammed, who made the clarification yesterday when defending the sum of money dedicated to projecting government policies and programmes in 2018, said his ministry has had the responsibility of correcting the erroneous impression that had denied the government loans from the international community. Mohammed who was before the Hon. Olusegun Odebunmi-led Committee on Information and National Orientation, Ethics and Values, while justifying the ministry’s huge expenditure on foreign media PR lobby consultancy, said: “Until we went there, generalization was that what was happening in Nigeria was religious. ‘’I always give them two examples to show that what happens in Nigeria has nothing to do with religion. I give them an example of Kebbi State. One-third of all the inmates in Kebbi prisons today are there as a result of farmer/herdsmen clashes, yet the farmers in Kebbi are Muslims and the herdsmen are Muslims. “In the case of Zamfara State, where we have lost more lives than Taraba, Plateau and Benue States put together, to rustling and kidnapping, the rustlers are Muslims, the victims are Muslims. So, we needed to put this in perspective. “What we are dealing is largely environmental. A country of 50 million people 50 years ago, today has a population of 200 million. In 1960 what was our population in Nigeria? 52 million. How many are we today? 180 million; yet, the country has not expanded, on the contrary, it has contracted because we have lost land to desertification. He said in 2018 the ministry officials made two trips to the UK and two trips to the US, saying these two trips helped tremendously in actually helping the people in diaspora and foreign governments to understand the real dynamics of the herdsmen and farmers clashes. He added that until they got there, the impression held by many of them was that thing was Christians/Muslims, North/South, adding that they had to book for interviews with CNN, BBC, Aljezeera, Reuters and AFP. “I think it is an important part of governance so that; if you cannot mold their opinions, at least it can give them the opportunity of hearing our own side of the story. 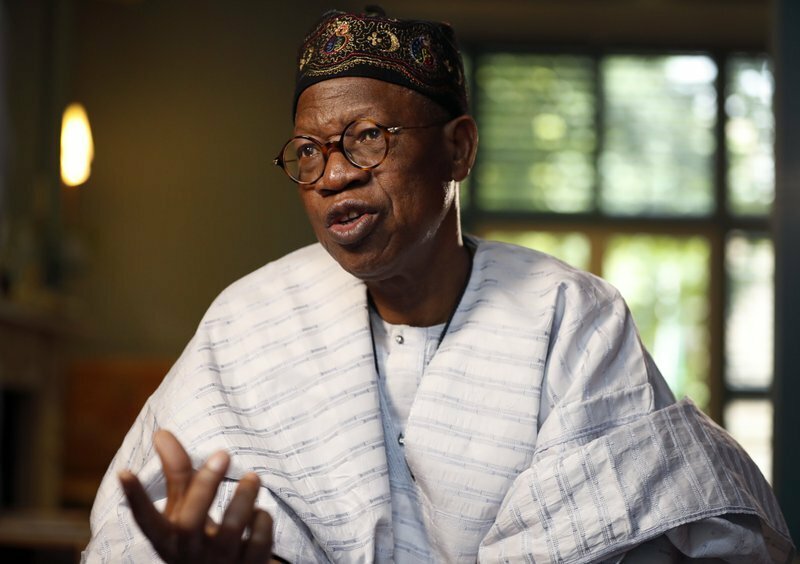 “I am sure you have all noticed a lot of very erroneous editorials that have been carried by some highly respected pens like the New York Times, Boston Globe, which do not actually represent the true situation in Nigeria, so we go there, not just for government but to give the correct impression about what goes on in this government,” he explained. Mrs Aisha Buhari, wife of the President, has expressed her plan to establish a private university to be known as “Muhammadu Buhari University”. She disclosed this on Saturday during a townhall meeting in Yola organized by her in collaboration with concern indigenes of Adamawa. Aisha, who did not however reveal when or where the university would be sited, explained that the university would be established in collaboration with partners from Sudan and Qatar. Aisha who lamented the challenges facing education and various sectors in the state, called for active support of the state indigenes in complementing government efforts. “I cannot conclude without suggesting how we can complement the efforts of government in achieving some of its developmental goals. “On this note, I would like to advocate for the establishment of Adamawa Development Trust Fund through which prioritized developmental projects can be financed and implemented,” she said. Amb. Fati Ballah also called for reconciliation and forgiveness among the people of the state and the setting up of a committee to come up with a blueprint for the development of the state. Alhaji Sadiq Daware, who spoke on agriculture at the meeting, noted that 80 per cent of the state land was arable and suitable for farming. Daware added that with River Benue which passes through the state, the state has the potential for massive irrigation and all year round farming programmes. The News Agency of Nigeria (NAN) reports that other speakers at the meeting include Prof. Shehu Iya of Modibbo Adama University, Yola, who spoke on education; Prof. Auwal Abubakar of Federal Medical Centre, Yola, who spoke on health; and Mrs Helen Mathias who spoke on women and youths. Othersvare Mallam Umar Abubakar who spoke on security; Gen. Buba Marwa on drugs; Sen. Silas Zwingina on Good Governance, and Dr Umar Bindir who spoke on Poverty. The meeting was also attended by politicians, particularly APC, PDP and ADC members in the state. Speaking during a townhall meeting he had with Nigerians residing in Dubai yesterday April 9th, President Buhari said he does not care if he is called “Baba go slow” as long as he did not loot the country’s treasury. The president also stated that he is going slowly because he does not want to make the mistake he made when he was as a military head of state when he sent many to prison withiout been tried in court.